USAA is a worldwide insurance and diversified financial services family of companies with roots in serving the military community. Negative customer attitudes originate at the CEO level and trickle down. That is obviously the problem at USAA. Our auto policy with USAA became effective 12/21/2011. It is now 1/10/2012 and three (3) monthly premiums have been deducted from our checking account. During our numerous calls to USAA we have been repeatedly told that we are wrong. They claim to be deducting nothing from our account. Interestly enough they cannot even agree what the monthly premium is or should be. In attempting to contact the corporate leader I was asked if the call concerned an insurance or financial issue. When I said “yes” I was hung up on. I’m now contacting the State insurance commissioner and hoping my policy cancellation will end the continuing conversion of funds from my checking account. I'm truly amazed by the conduct of what is purported to be a legitimate corporation. Please protect yourself. I am a carrier of Geico but I was hit by a USAA insurance carrier. The accident happened on the 9th and fault was not determined until the 18th, that being the USAA carrier. I immediately got a rental car once fault was determine and kept it until I was able to get the car out of the shop which was the 28th. USAA paid for the car only from the 18th until the 23rd because repairs were completed on the 23rd. The way I see it they are making our pretty nicely here seeing as though they could have been paying from the 9th until the 23rd and I was only asking to pay from the 18th-28th. I asked to speak to a supervisor and after 4 voicemails I got a call back. After 25 minutes on the phone I WAS HUNG UP ON BY THE SUPERVISOR. I work in a call center envrionment and this is unheard of behavior. DO NOT DEAL WITH THIS COMPANY. If you are looking to get insurance with them LOOK ELSEWHERE. Horrible and incompitent customer service. This company is horrible. I added a car to my insurance policy online, and somehow they have no record of that. The customer service representatives are not helpful. They do not take any responsibility for their own incompetence. I would never purchase insurance from this company. Even though it is cheap, it would be worthwhile to spend a bit more money so that you get insurance from a quality company. Incompetent people! You never get an honest answer and they do nothing to really help you! Cost of insurance is low. Poor support when you actually need them. When I had my 1st accident (girl ran a stop-sign and T-boned/totaled my car) I called to notify them and ask what I should do about damages, rental, etc. They said they couldn't help me until I got a police report (which took days). They did eventually pay for the rental car, but paid me less than blue-book value on my car, and made ME pay for the towing and storage of my car (which ate up much of the meager check they sent me!) By the time I was behind the wheel of a replacement car (a used compact model) I was way in the red. My next accident (a girl backed out of her driveway into me while I was stopped at a light) caused about $500 in damages. She was completely at fault, but USAA wouldn't even take up my cause and fight the other insurance company for the money, nor pay me themselves, because the damages were less than my deductable. I have since learned that many of their insured have had success suing USAA to honor their policies, but it's sad that a company that you faithfully pay for insurance every month will only pay out if you take them to court! Bottom line: they are cheaper than most, but you get what you pay for. After reading the nasty reviews of USAA, I will stay with my present company. It's not worth a few bucks to put up with the problems they seem to provide. I have been a custormer of USAA for about 20 years and carry their auto and home insurance. I was involved in a car accident and was dismayed to find how bad this company is. Unfortunately I am sure that I will be unable to change insurance companies due to the accident but recommend that others do switch to a better company. I was involved in a four car collision. I was rear ended by three cars. USAA and American Family were the two companies of the at fault drivers. USAA was very pushy in trying to issue me payment and close the claim before my questions were answered. There was quite a bit of confusion by 50/50 responsiblilty and the fact that AmFam would use OEM parts but USAA would not (my car is a 2008 model, but manufactured in 2007). During most phone calls USAA agents were very short with me, cutting me off when I tried to speak, raising their voices at me, berating me and blaming me for all the difficulties that were occuring. During the whole process I tried my best to remain patient and respectful, however I did raise my voice back when I was being yelled at, as I will not stand for that. I plan on cancelling my USAA policy as soon as it expires. I do not wish to deal with such disrespectful agents. I have been a member of USAA for 48 years. I use their home and auto insurance, banking services, and credit card. I have NEVER had any problem with this company. They are tops in service and stability. 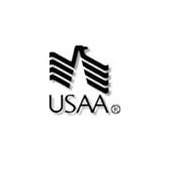 USAA - Tops in my book after 48 years of membership!